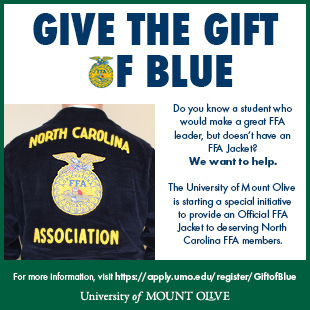 The application for this year’s Give the Gift of Blue FFA Jacket program is now available! Students can apply and advisors can nominate an FFA member to receive a jacket. Jackets will be given during the third general session of the 91st NC FFA State Convention on June 19. The application deadline has been extended to May 1.